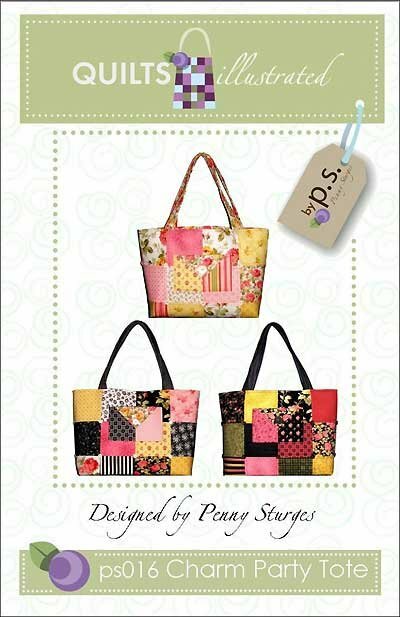 The Charm Party Tote has 2 large pockets on the inside, an envelope style pocket on the outside, and is made with Charm Packs. Finished size is 11" x 14" x 4". You will want to make more than one.